Sit down with a one of loanDepot's local mortgage experts to learn your purchasing power! 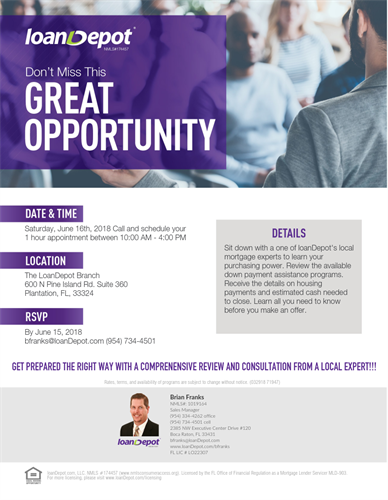 Review the available down payment assistance programs. Receive the details on housing payments and estimated cash needed to close. Learn all you need to know before you go house shopping, fall in love with your new home and make an offer.